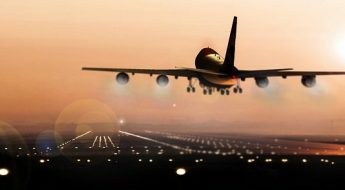 As a larger plan to be energy efficient, Hyderabad wanted to shift from halogen to LED for its airfield lights. When they explored various options available in the market they were convinced with our SafeLED IQ lighting solution. They chose ADB SAFEGATE’s unique IQ technology for easy individual lamp monitoring and control. The fixture has very low protrusion, no negative slope and is optimized for easy handling. Plus, the airport does not have to invest separately on individual switching devices for each light which saves cost and enables easy integration with its existing ALCMS/ILCMS. As a result, ADB SAFEGATE has been awarded the order for the full replacement of taxi lights from halogen to SafeLED IQ. Our first LED fail-open AGL order comes from Delhi International Airport. As the primary hub serving India’s national capital, the airport is Asia’s 10th busiest in terms of passenger traffic. DIAL wants to migrate from halogen to LED in the apron area as part of an expansion project being undertaken at Terminal 1. We will supply 1180 SafeLED fail-open lights that will be integrated with the airport’s existing ALCMS/ILCMS. ADB SAFEGATE won this order on the strength of its energy-efficient SafeLED lights with integrated fail-open technology. 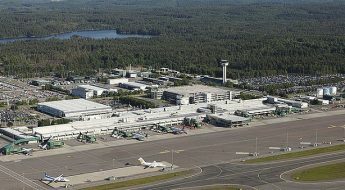 With this, the airport is looking to achieve energy efficiency. 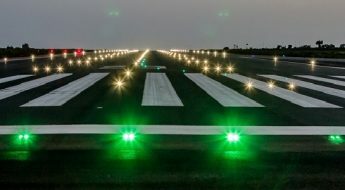 Also, because LED AGL has a longer life and is resilient in all weather conditions, it requires less maintenance and dramatically improves airfield availability, reducing costs associated with maintenance and shutdowns. The coming year also looks exciting with DIAL planning to expand its Terminal 1 building, and work on a fourth new CAT III runway anticipated to start soon.